Tomatoes are a standby, go-to plant to have in a garden. 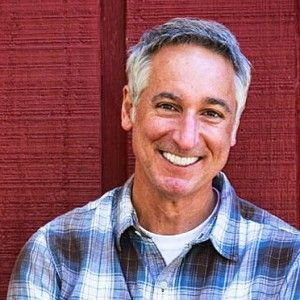 I will share insights from pros like Joe Lamp’l of Growing A Greener World and others as tips for growing and preparing tomatoes. In almost any garden that you pass by, you will find tomato plants. It seems as though they have always been one of the first things you want to get in the garden. When I was young we had tomato plants in our family garden. We would place tomato stakes by them and tie them up with old leg hosiery that had been discarded due to runs. This was a strong fabric that would hold the plants and also flex as the plants grew. Joe Lamp’l has come up with a much stronger solution that will hold up even the most challenging plants which he calls the “Ultimate Tomato Support”. The next is a recipe by Nathan Lyon, a Chef featured on Growing A Greener World. This recipe is called Rosemary Garlic Tomato Confit. To find out about different tomato plants, an organization called Seed Savers can help with finding the heirloom tomatoes you may be looking for. 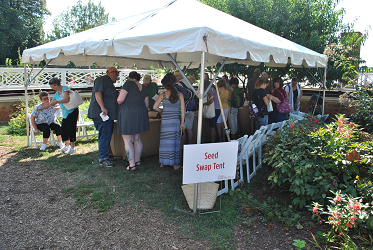 This is one of the organizations that works towards saving and swapping seeds with fellow gardeners. These seeds have been passed down from one generation to the next. Some of the vegetables and fruits may not look like what you would find in the store but they offer a unique taste. The tomato seeds they have are a good start to growing a unique and flavorful tomato that you can’t buy. It is a little late to start your tomato plants from seeds. It would be best to purchase your tomato plants and get them in the ground. Water your plants generously the first few days and continue with consistency throughout the growing season. It helps to mulch around the plants to help retain the moisture and keep the weeds from growing around them. Try to leave the tomatoes on the vine as long as you can. If you pick early and place on a windowsill, they can rot before they ripen. 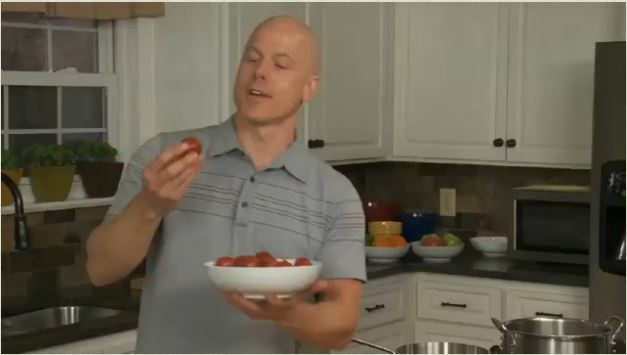 Try not to refrigerate fresh tomatoes. Doing so can change the flavor and texture. If you want to freeze fresh tomatoes, core and place them in whole, in freezer bags. The skins will slip off when they defrost. So, get out and get the plants in the ground. Just think about that BLT that is just around the corner. Says, Joe Lamp’l. “The Ultimate Tomato Cage in 5 Simple Steps.” Growing A Greener World®. N.p., 14 May 2016. Web. 23 May 2017. Lyon, Nathan. “Rosemary Garlic Tomato Confit.” Growing A Greener World®. N.p., 26 Aug. 2013. Web. 23 May 2017. Almanac, Old Farmer’s. “Old Farmer’s Almanac.” Old Farmer’s Almanac. Yankee Publishing Inc, n.d. Web. 23 May 2017.